Tomei Expreme Exhaust Manifold - PURE Tuning Inc. 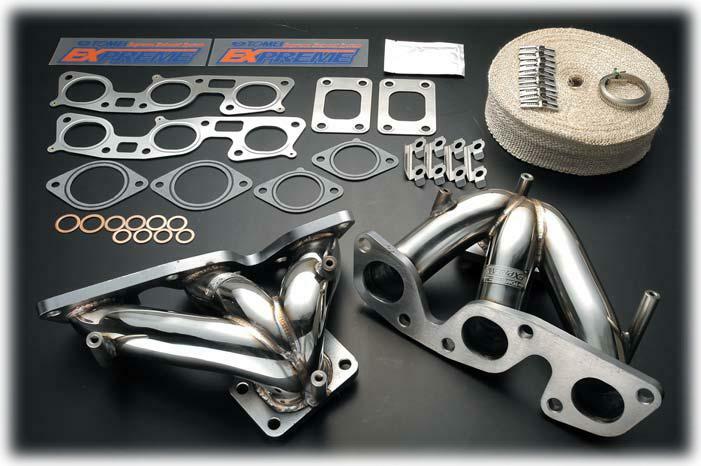 The Tomei Expreme exhaust manifold has been developed to deliver “absolute power” improvement through its efficiency. The performance curve proves that this is the absolute best performance possible from any manifold. Before thought to be unimaginable, is now available for everyone off the shelf. You will not regret the pure sensational feeling that this manifold has to offer, an absolutely different dimension from unimpressive competition manifolds. Overall lighter in weight in comparison with the factory genuine product.